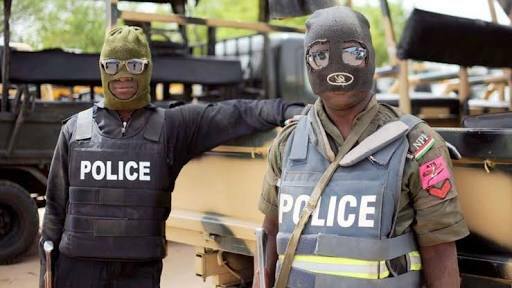 Some armed men have invaded the Aboh Police Station in the Ndokwa East Local Government Area of Delta State, killing two cops. The gunmen, who were alleged to be in military uniforms, also reportedly left many others who were on duty at the time of the attack, injured. Multiple sources in the community, who confirmed the incident to The Punch on Sunday, disclosed that many of the injured were in a critical condition. It was gathered that the incident, which occurred around 2am on Saturday, threw members of the community into confusion. It was also gathered that the hoodlums also broke into the police armoury and carted away ammunition and sophisticated weapons. One of the sources, who spoke in Asaba on Sunday, said, “The police were taken unawares by the gunmen. They attacked the police station, killed two policemen and the ones that survived escaped with bullet injuries. A police source, who also confirmed the attack, disclosed that the invaders made away with the engine of a patrol boat belonging to the marine police post in the community. The Delta State Police Public Relations Officer, Andrew Aniamaka, confirmed the incident. Aniamaka also confirmed that two police officers were killed by the hoodlums, noting that investigation had started into the attack. A military source in the area said security had been beefed up, while a manhunt had been launched for the suspects.